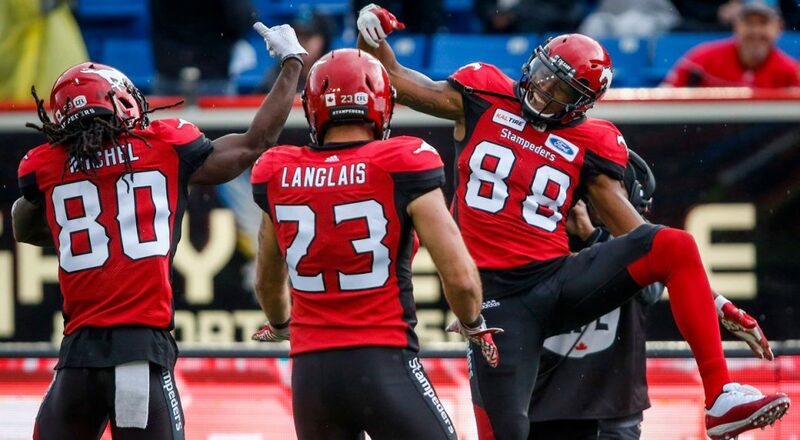 Here are the locations for the Stampeders’ 2019 tryout camps. Keep checking this page for updates on times and venues. Mar. 2 – Dallas area – Beverly D. Humphrey Tiger Stadium (indoor practice field) – 200 East Wintergreen, Lancaster, Tex. Mar. 3 – Houston area – Stafford High School (main football stadium) – 1625 Staffordshire Rd., Stafford. Tex. Mar. 16 – New Jersey – Robbinsville Fieldhouse – 153 West Manor Way, Robbinsville, N.J.
Apr. 13 – Tampa, Fla. – Middleton High School – 4801 N. 22nd St., Tampa, Fla.
Apr. 14 – West Palm Beach, Fla., area – Florida Atlantic University: West Palm campus (flag football field) – 777 Glades Rd., Boca Raton, Fla.